Today’s Top 10 is all about DIY’s! I will give you my favorite 10 DIY bloggers and 2 DIY trends that I just had to include in this post as well. When you see life through the right pair of glasses, your average Hardware Store will become your Tiffanies&Co. Ever since seeing the Miu Miu’s, sparkles have been on my mind! Glitter on the heels, glitter on the back of the shoe, the whole shoe glittered.. It’s not only a great DIY for this season it’s actually a lot of fun doing! Yes, this keeps being on my mind! 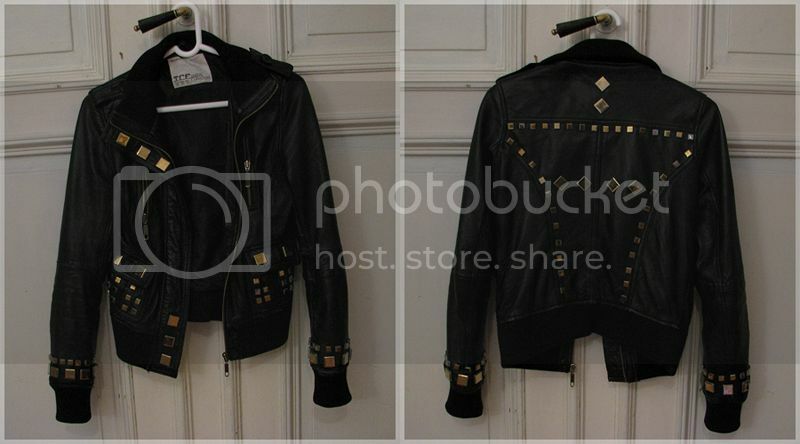 Stud, studs, studding.. 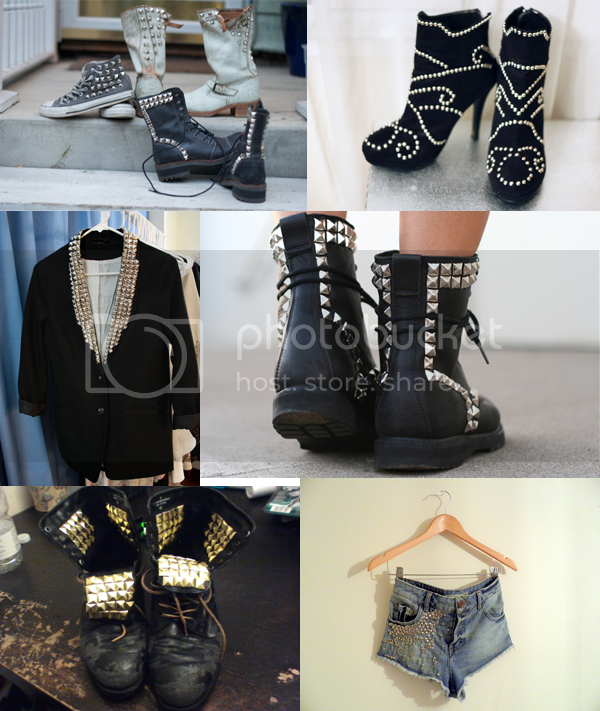 I still want a pair of studded converse, boots, jeans and leather jacket, just about everything. and finally the top 10! 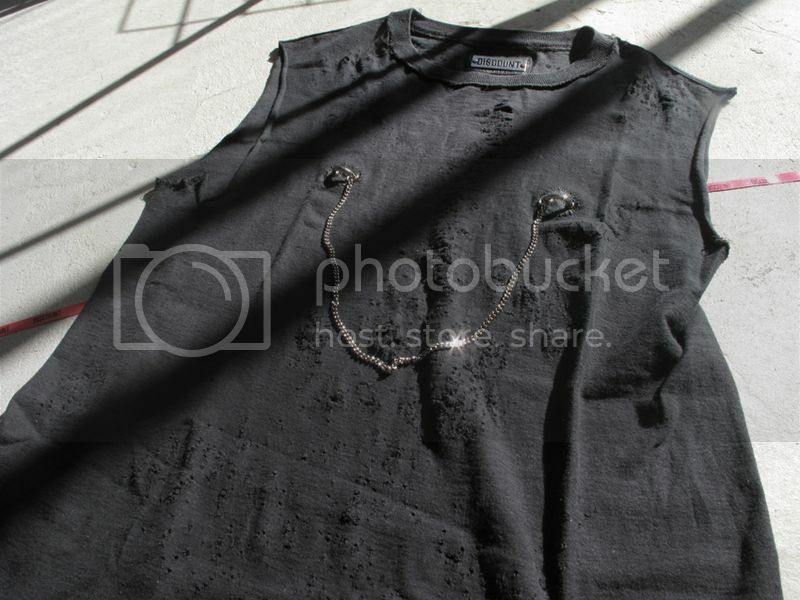 Shinni still has some of the best DIY’s ever and shows us in very well made tutorials how to do it. Her DIY’s are very well executed and are my absolute reference in how-to-go-about-things (like studding and ripping jeans) and that makes her my number 1. Ivania’s DIY’s are brilliant, I don’t think I have to say more..
Maria’s blog is crucial for my DIY list! Most of her creative work are her own designs and art works and thus not really diy’s and the (real) diy’s go often without a tutorial and are sometimes made after other bloggers tutorials (the fringed shoulder pad jacket and draped skirt are via anywho.dk) BUT she’s massive inspiration and I’m a very big fan of her designs, the reason her blog is crucial for my list is the fact that when she does a simple diy she thinks outside of the box and translates it in perfect choices of fabrics, colors and placements giving a very own and updated look to a well-known concept!! Well, hello there birds! Why didn’t I think of this dress? 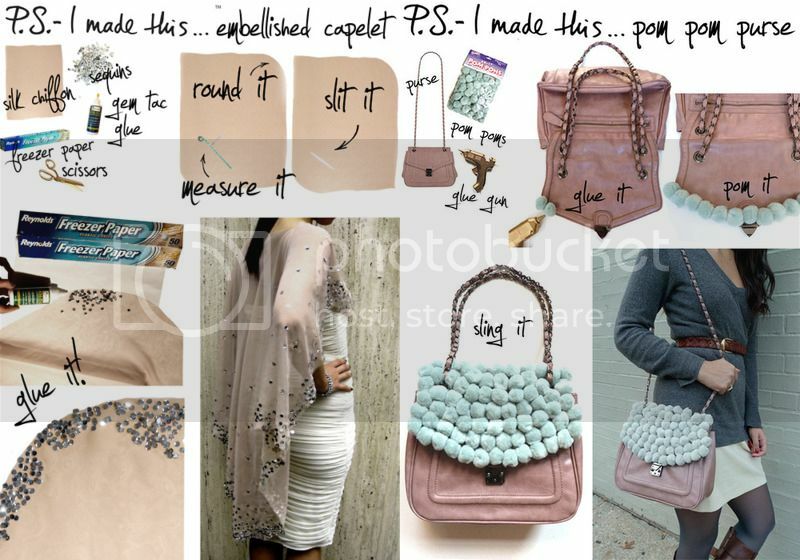 and why didn’t anybody else including me think of placing a different color studs under the bag? I’m so going to spray paint studs!! I really like the cut&sew DIY’s and those Prada’s are bloody Brilliant!! ps. 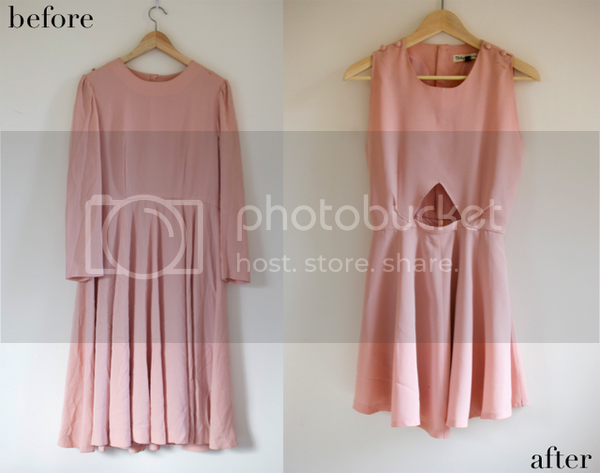 very good post about How To DIY! pps. 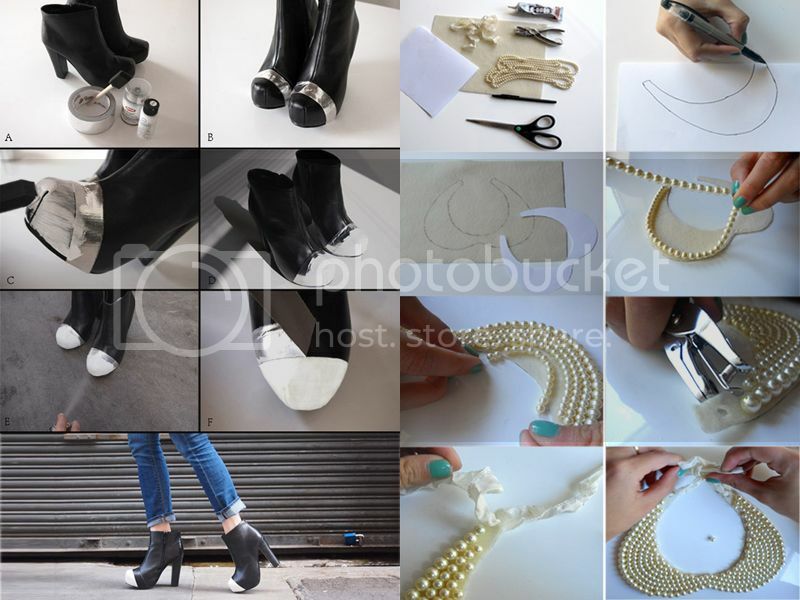 will be using this tutorial to spray paint studs! 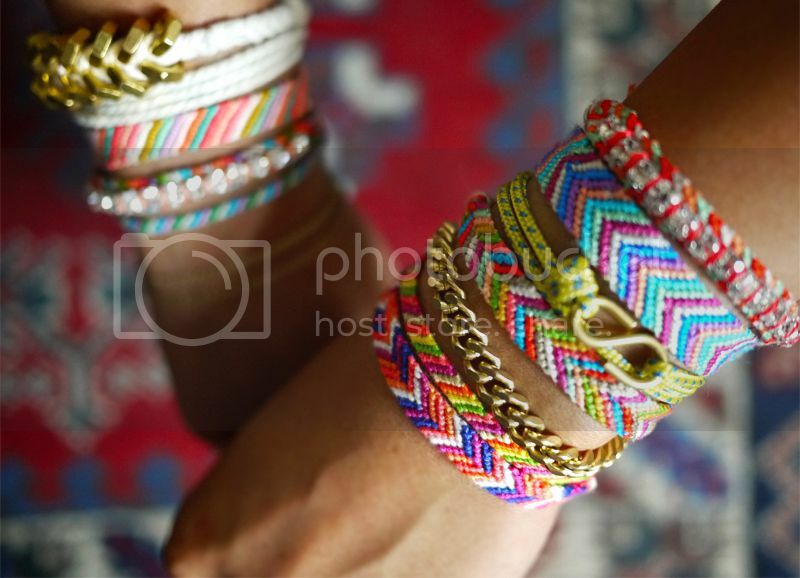 Loads of my friends and family will be getting bracelets for Christmas! 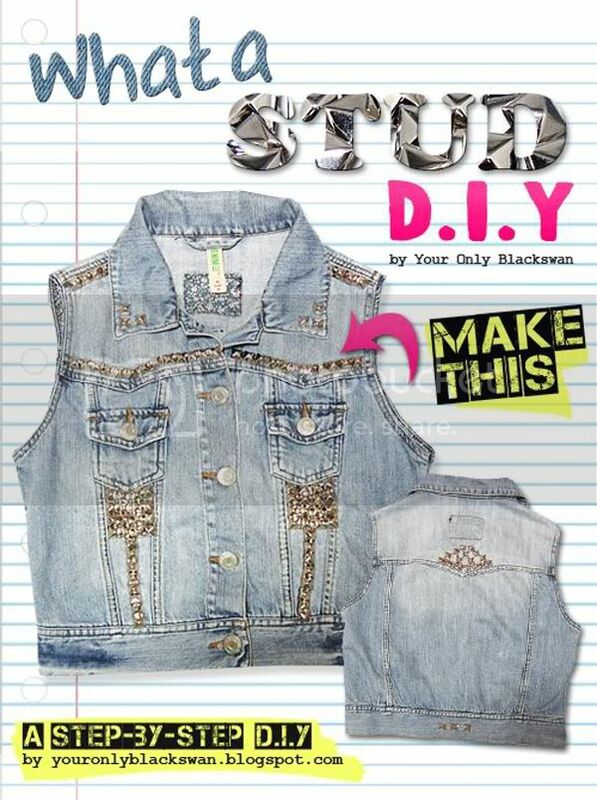 So many good DIY’s!! well executed and good tutorials!! 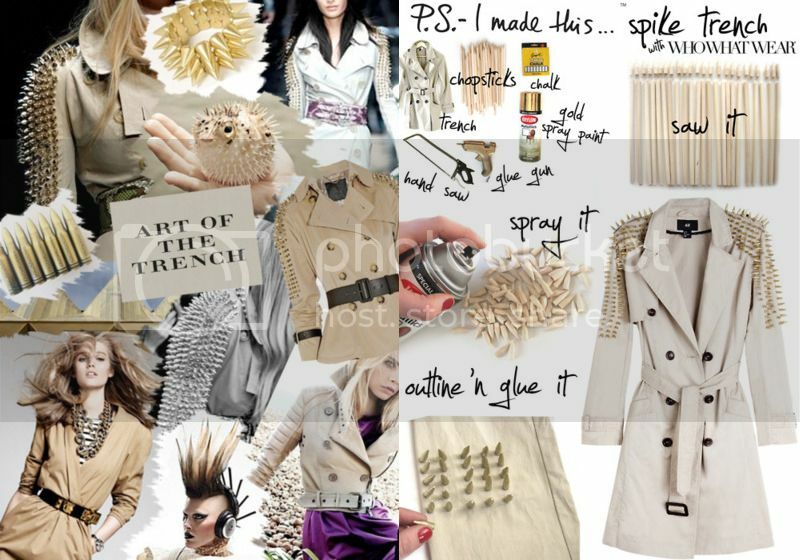 Love the collages and the studded trench is just asking to be made! p.s. they even have a book! I still check the old posts from the foxyman on a regular basis, the finger tip glove diy is amazing and the blog is the best diy inspiration! The Discount Universe (blog and store) is also possibly the best inspiration out there when it comes to diy’s! 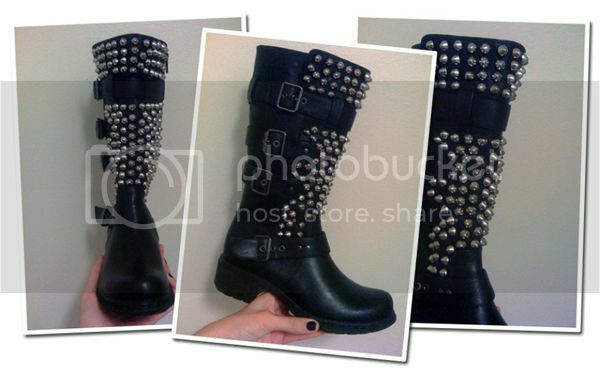 Best studded everything out there!! and if I had $$$ I would buy everything! 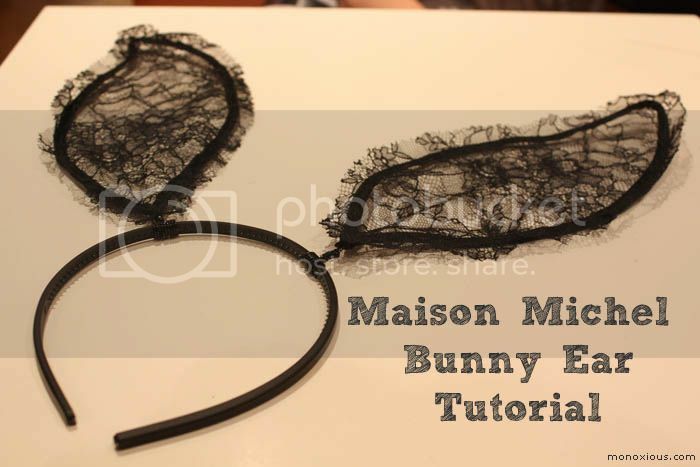 Also very well executed diy’s that will come in handy for future projects, like the chain harness, chain collar necklace, the bunny ears and bracelet. well I’m not really part of my own list..
Of course there are blogs that should have made my list and didn’t this time (stupid number 10)like Outsapop and Chic Steals which are massive DIY resources!! So check them out too! You wrote DIY 29 times. Wow, there is really some very inspiring ideas! Thanks for sharing. 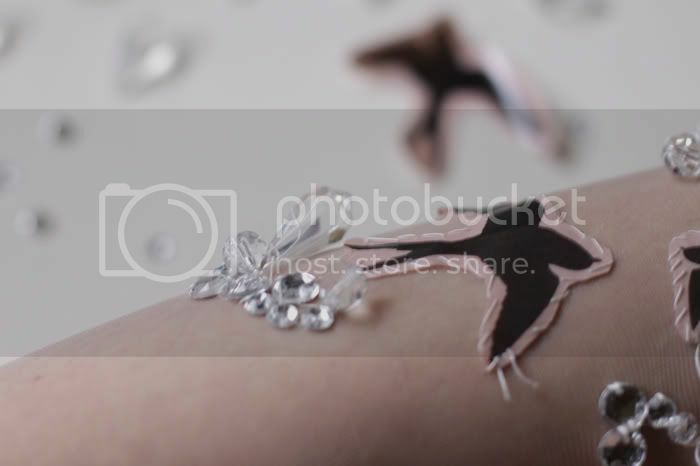 Hi, I came to know your blog,I loved and I’m following your blog! Oh to be creative like these fabulous bloggers!! 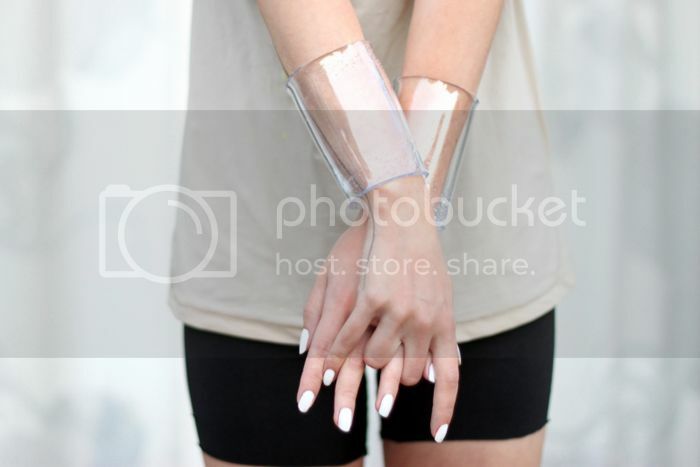 Great and inspiring DIYs!! Thanks for sharing. I’ve been meaning to do the glitter shoes.. now I’m more motivated to do it.. stay cool! Thanks for this post so much! I just love DIYs and you helped me a lot. Great choices. 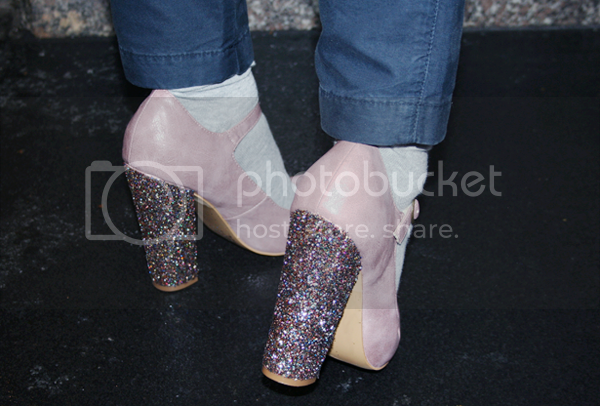 the Love Meagan’s glitter shoe are absolutly amazing! 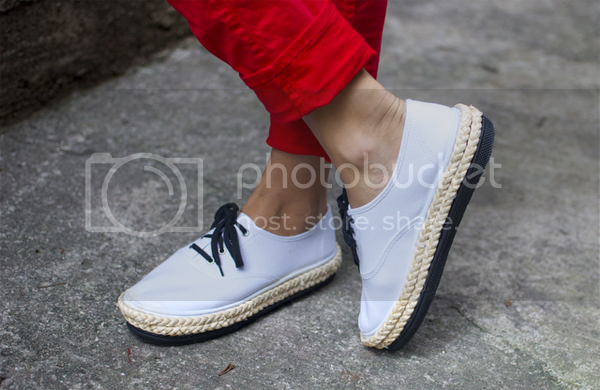 …and the DIY-ing of the shoes… Oh man! 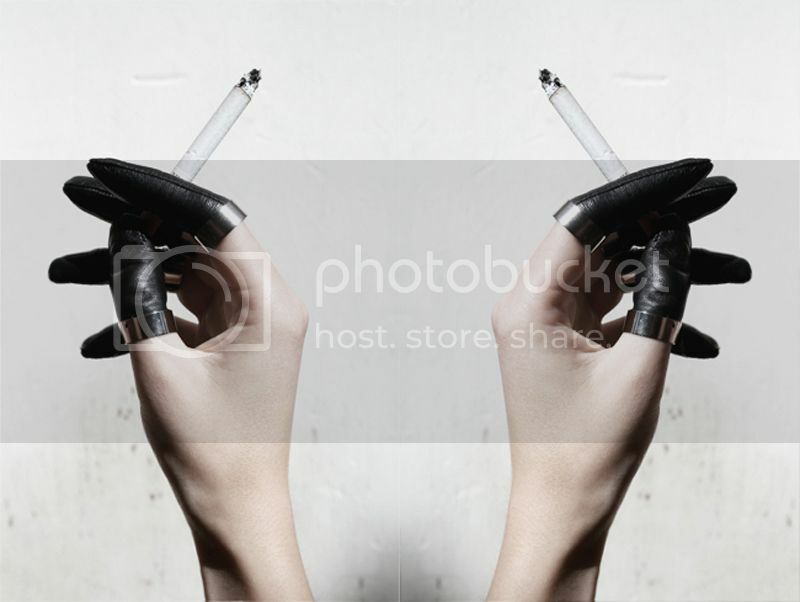 I posted smth like this here if U wanna check it out: http://moderngirl.jurna.ro/?p=222. I hope you’ll keep up with this top! This is the best post i’ve saw today, i really love DIY. Thanks for discover and love your DIY. 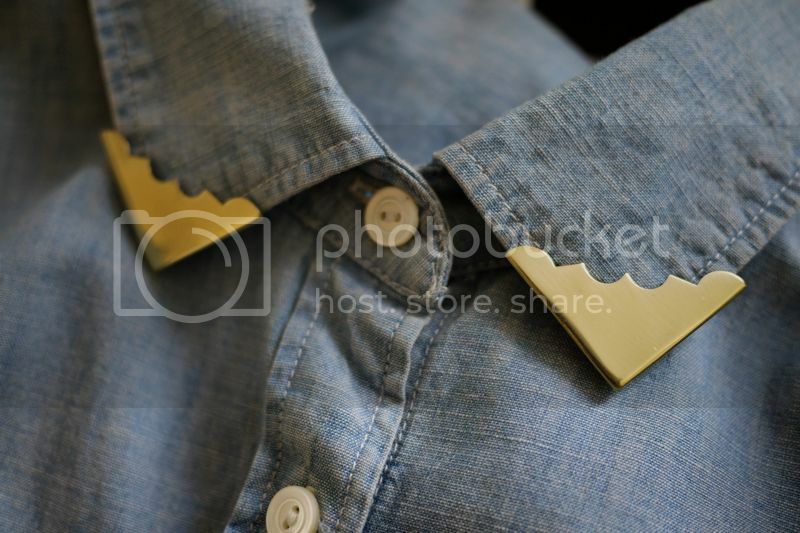 Out of the blue, a new fashion trend has finally unveiled itself. And yes, it is lovely indeed. 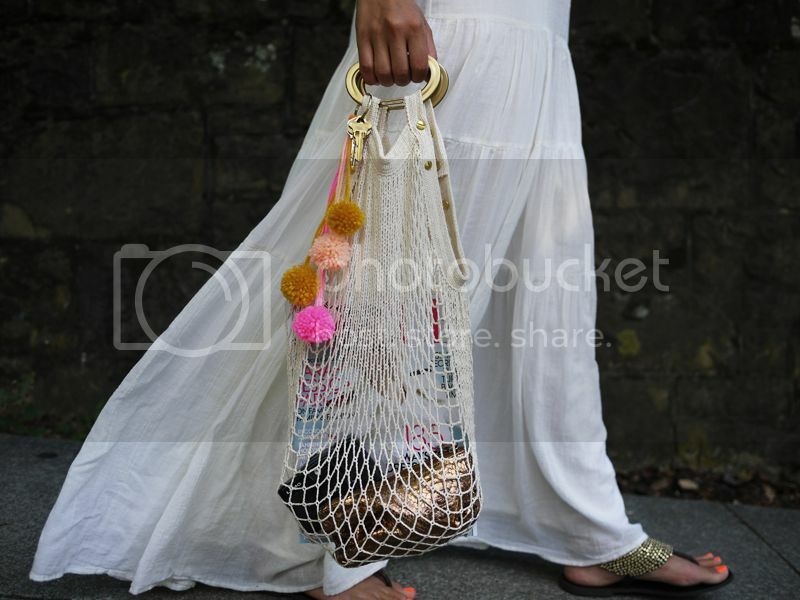 I adore your Top 10 Fashion Blogger …posts- a great idea!!! Actually, other post are also enjoyable as well!!! I was gonna say you are my biggest DIY inspiration! 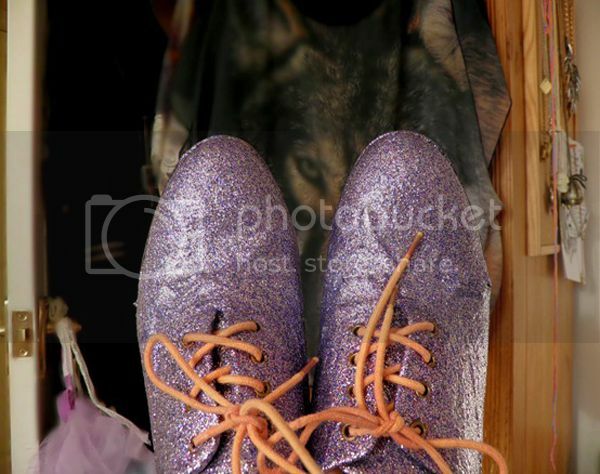 Love the glitter shoes DIYs! 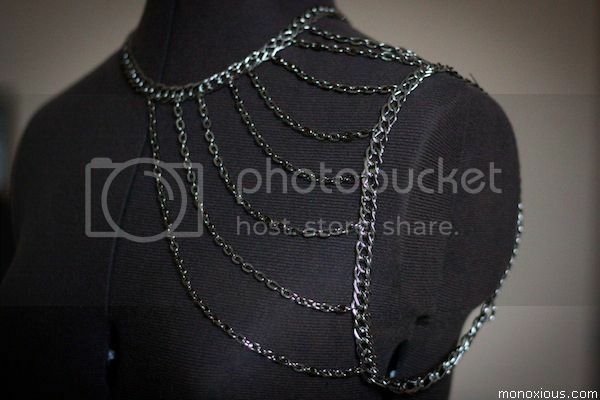 All the studding has me super inspired! Thanks for posting. Um WHOA I’m so honored!!!!! Thank you!!!! As a fervent DIY’er I knew most of these crafty bloggers, Semi is a discovery though, everything she touches turns into gold 🙂 ..
what a killer post! 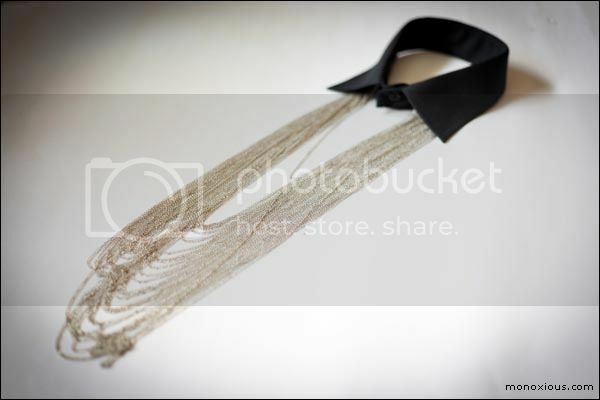 Love the wide range of DIYs and thank you so much for featuring Your Only Black Swan’s “What A Stud” DIY. This post is know in my “love” of bloglovin´!! 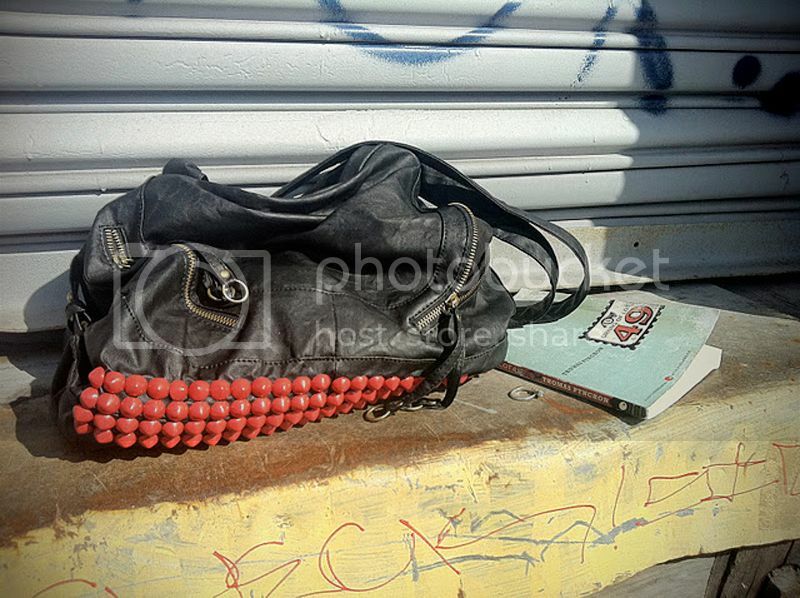 An innovative brain and creative hands can beautifully modify simple to splendid. Very pretty artwork and a good post. Hi ! i made this too for my glittering shoes ! Wow, what a nice posting you, very very thanks for sharing it! interesting post with lovely style. I’m totally obsessed with the glitter shoe idea. As a lover of all things DIY I’m def. going to have to make a pair (perhaps Christmas gifts?). I wish I would’ve saw this post earlier. It def. would’ve came in handy for Halloween. Think of how cute black and orange heels would’ve been? 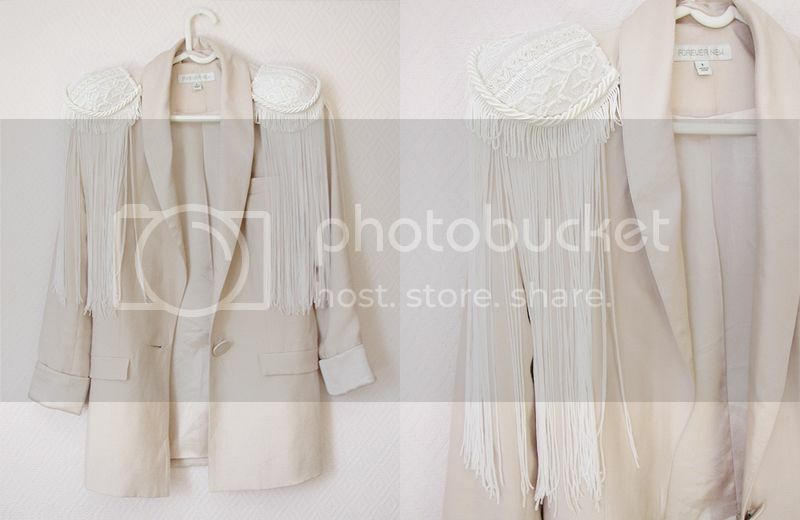 Feel free to check out my fashion DIY blog. We just launched a DIY Lauren Conrad’s deer costume tutorial that we filmed using google glass. It’s perfect for those of us who are so last min. 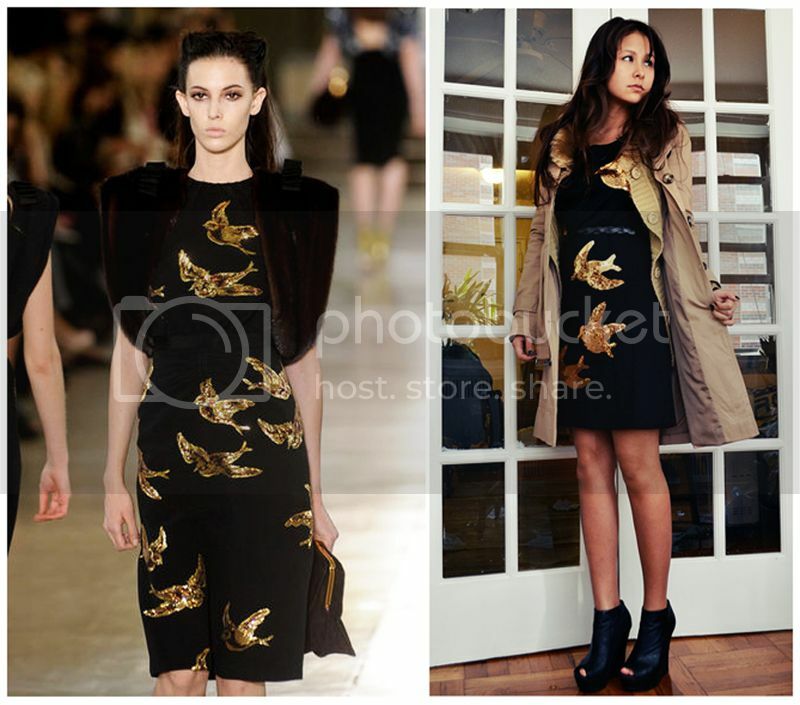 I Pinned this Blog To my Browser, This is very trendy Blog Relate to a Fashion.